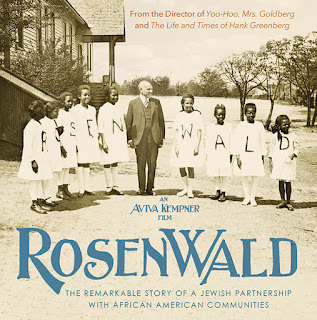 Julius Rosenwald was born on August 12, 1862 in Springfield, Illinois to a couple of German-Jewish immigrants who met each other in the U.S. His father was a traveling salesman who plied his trade by foot until he was able to save enough money to afford a horse. Raised in a house located right across the street from the home of President Abraham Lincoln, Julius dropped out of high school and moved to New York City to learn the ins-and outs of the garment industry. 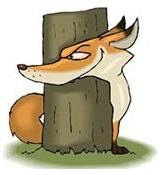 The aspiring clothier was befriended there by Henry Goldman, co-founder of Goldman Sachs.investment bank and a future financier of his business ventures. Julius eventually moved to Chicago where he not only started a family with his wife Gussie but embarked on an enviable career as an entrepreneur. By 1906, he'd parlayed his success into a 50% stake in Sears Roebuck, and he subsequently orchestrated its expansion from a mail order catalog company into a mammoth, department store chain. And, by the time he retired as CEO, he'd accumulated a fortune which, adjusted for inflation, would amount to over a billion in today's dollars. Believe it or not, that impressive accomplishment pales in comparison to Julius's considerable cultural contributions as a philanthropist. For, as a devout Jew, he took to heart his faith's solemn mandate to engage in compassionate charitable activities. He was outraged by the disgraceful mistreatment of African-Americans in the South where most were denied access to decent public schools and libraries, based on the “separate but equal” rationale sanctioned by the Jim Crow system of segregation. After all, white supremacy was predicated on the belief that the education of minorities was a threat to be denied at all costs. So, in 1912, Julius decided to join forces with Booker T. Washington in order to afford black Southerners a fair shot at the American Dream. Between then and his death in 1932, he would underwrite the construction of over 5,500 school buildings in poor, rural African-American communities. By the time he was done, a third of all black kids living in the South would be attending one of his institutions. Of course, this development rankled inveterate racists, and many a Rosenwald school became the target of the Ku Klux Klan torch. Not one to be easily discouraged, however, Julius quickly resurrected any edifice burned to the ground, some on more than one occasion. It is important to note that Julius did not restrict his philanthropic efforts to the South. For instance, he opened YMCAs for blacks in 25 cities where the organization's facilities were designated “White Only,” including his hometown of Chicago. He also erected Rosenwald Courts, an upscale apartment complex in the Windy City which became home to Joe Louis, Jesse Owens, Quincy Jones and other icons. In addition, he sponsored substantial scholarships for promising African-American artists and academics, whether they were living in the U.S. or abroad. Among that program's beneficiaries were Ralph Ellison, James Baldwin, Arna Bontemps, Langston Hughes, Zora Neale Hurston, Gordon Parks, Jacob Lawrence, Ralphe Bunche, Dr. Charles Drew and Marian Anderson, to name a few. 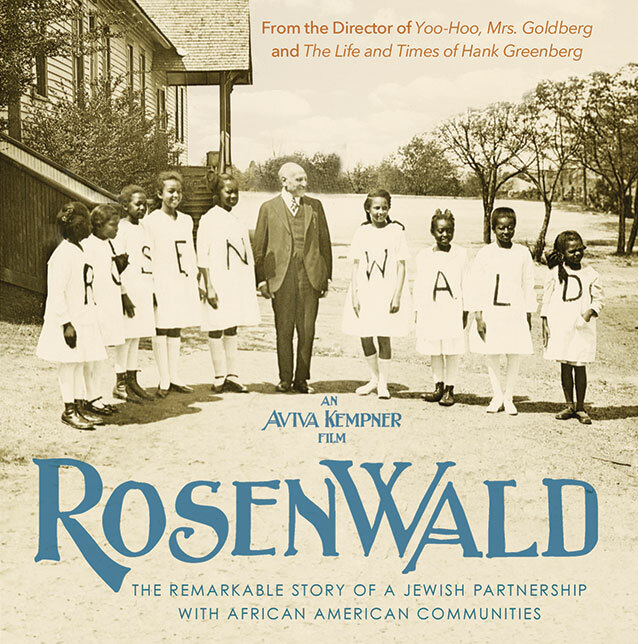 Directed by Aviva Kempner (The Life and Times of Hank Greenberg), Rosenwald is an inspirational and informative documentary which belatedly gives a little-known humanitarian his due. Paying homage, here, are a number of luminaries like Congressman John Lewis, director George C. Wolfe, Pulitzer Prize-winner Eugene Robinson and the late poet laureate Maya Angelou, each of whom is a grateful alum of a Rosenwald school. A touching bio about a selfless, self-made billionaire who'd probably prefer to be remembered as a tireless proponent of the notion that black lives matter. DVD Extras: Over 4 1/2 hours of bonus features and a free, downloadable teaching guide.